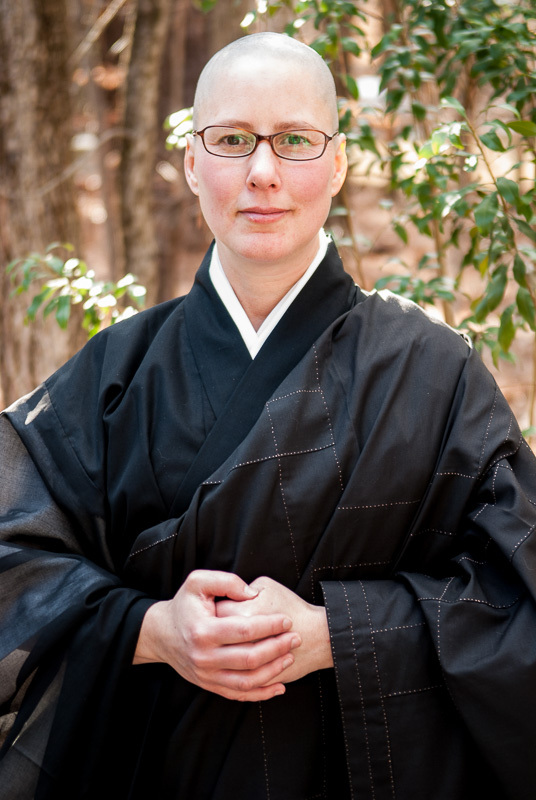 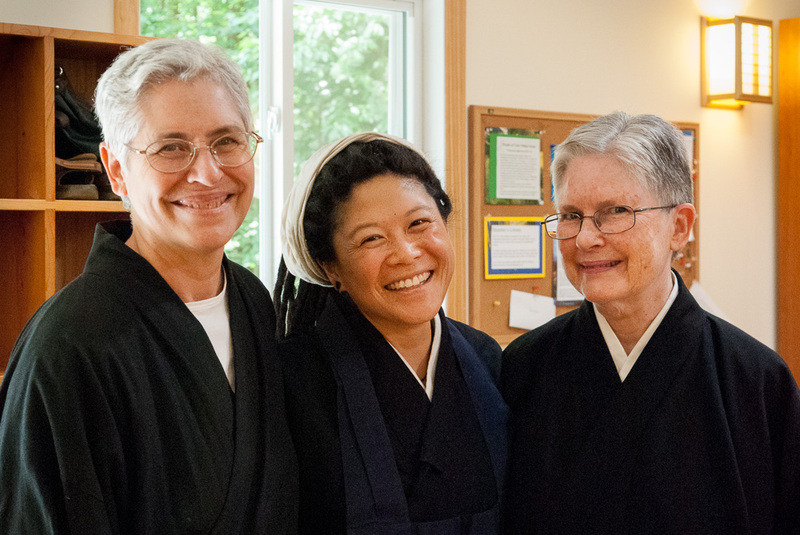 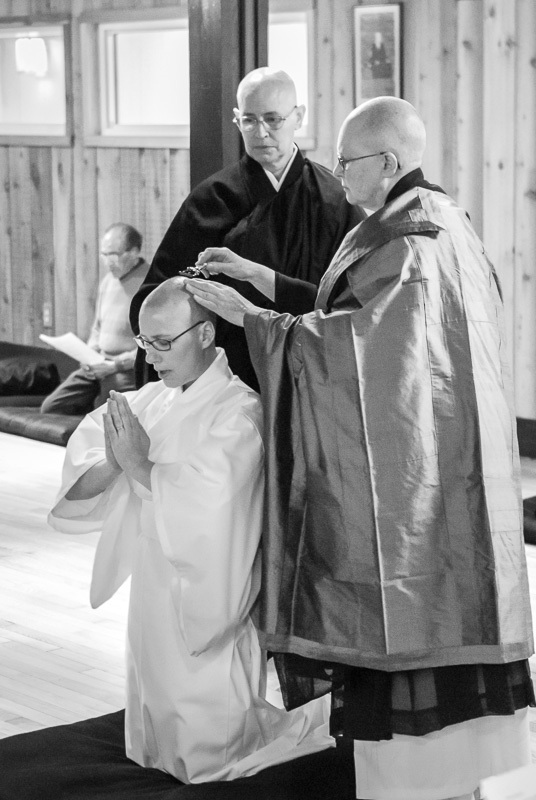 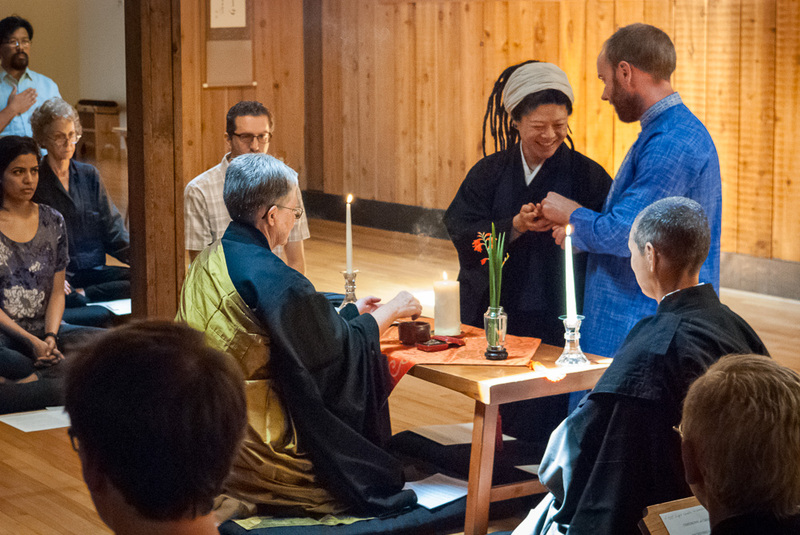 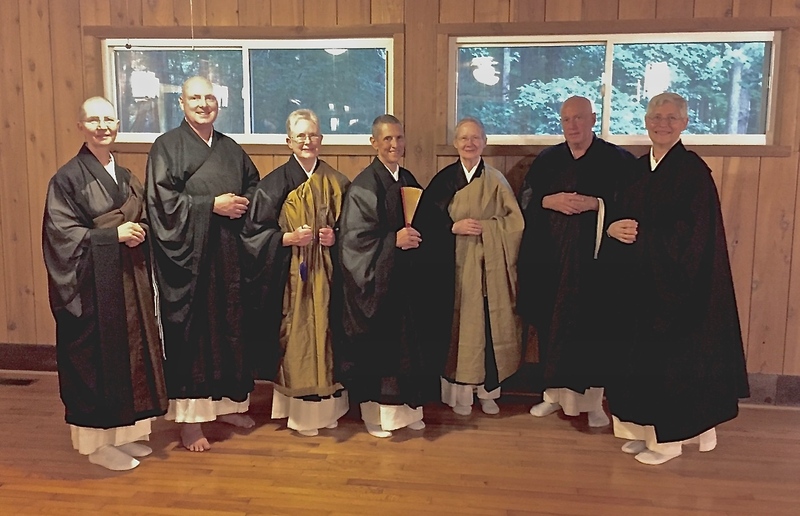 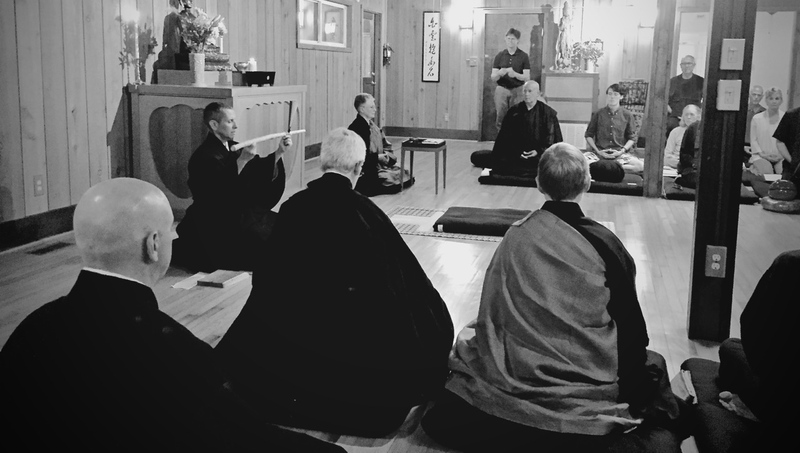 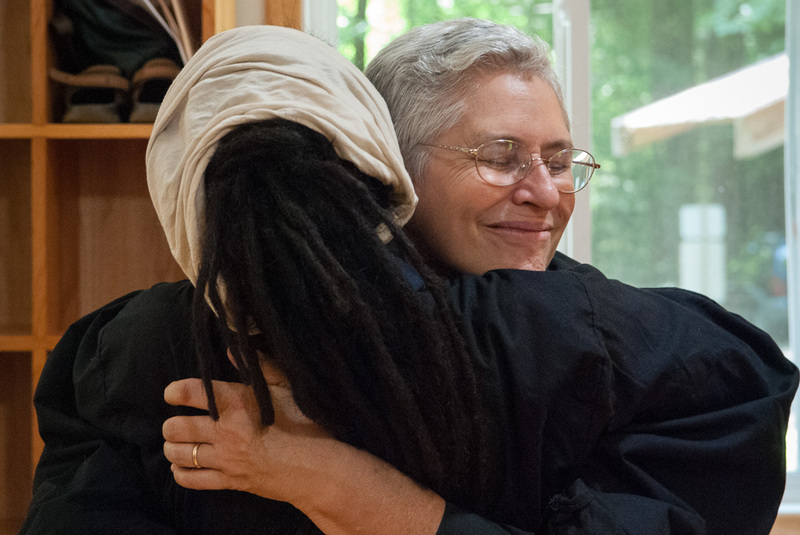 On Sunday, May 18, Kengan Jakuko, Maureen “Mo” Ferrell, took her seat as shuso, or head monk, for the 2014 Practice Period at Red Cedar Mountain Temple. 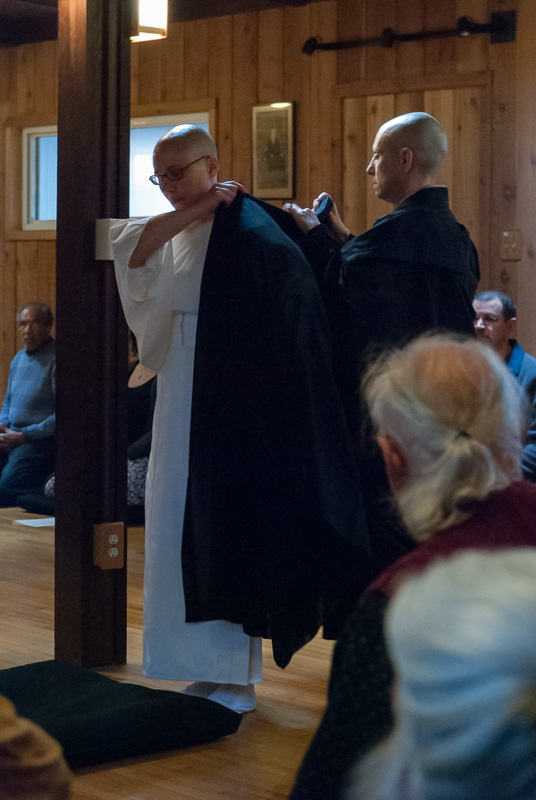 Carrying the inkin is her brother Peter (PJ) Mooney and Michael Emberson is jisha or attendant. 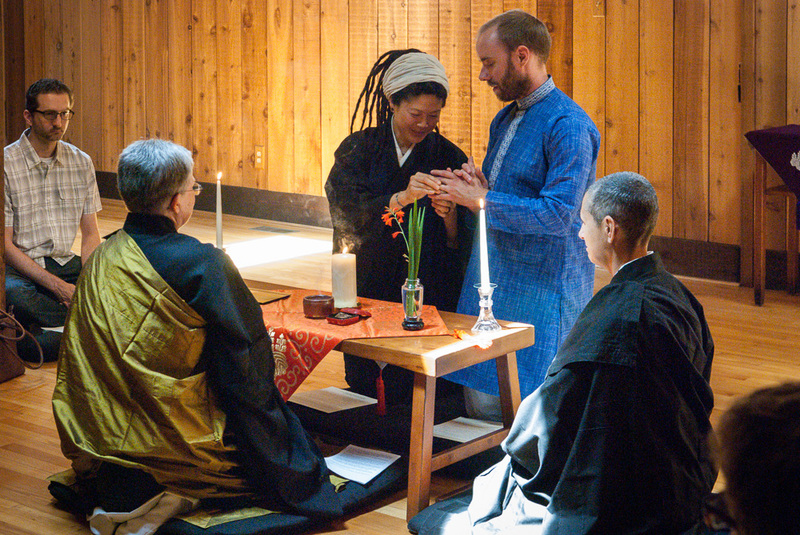 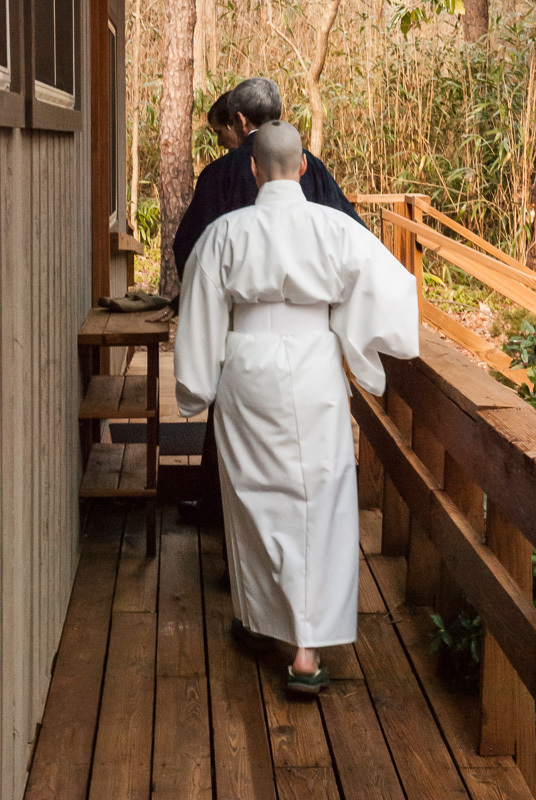 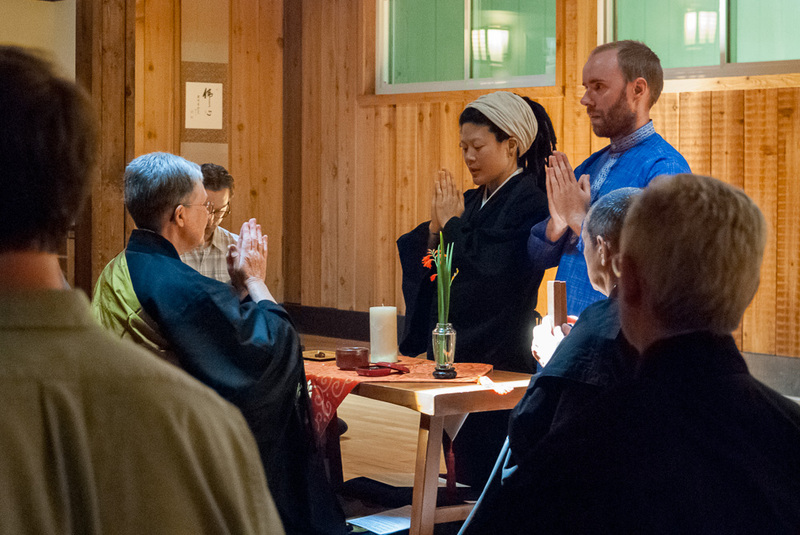 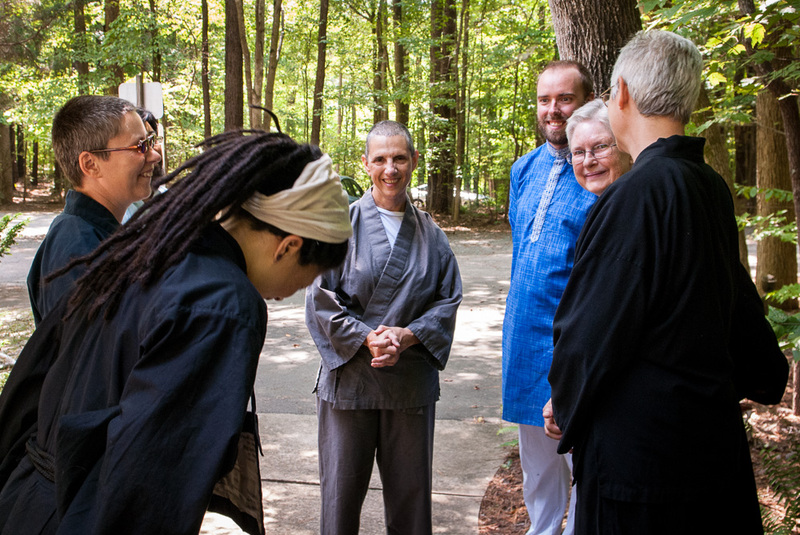 The entering ceremony traditionally features a ritual invitation from the officers of the temple and a formal request from the teacher (Taitaku Josho, Pat Phelan, sensei) to the shuso, to share her responsibilities. 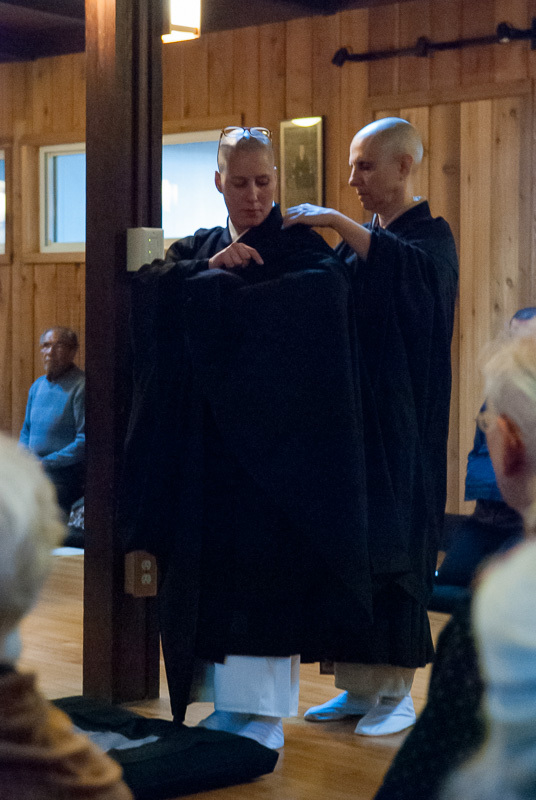 The photos below show the procession in the abbess’s room in the order in which it moved in and out of the meditation hall. 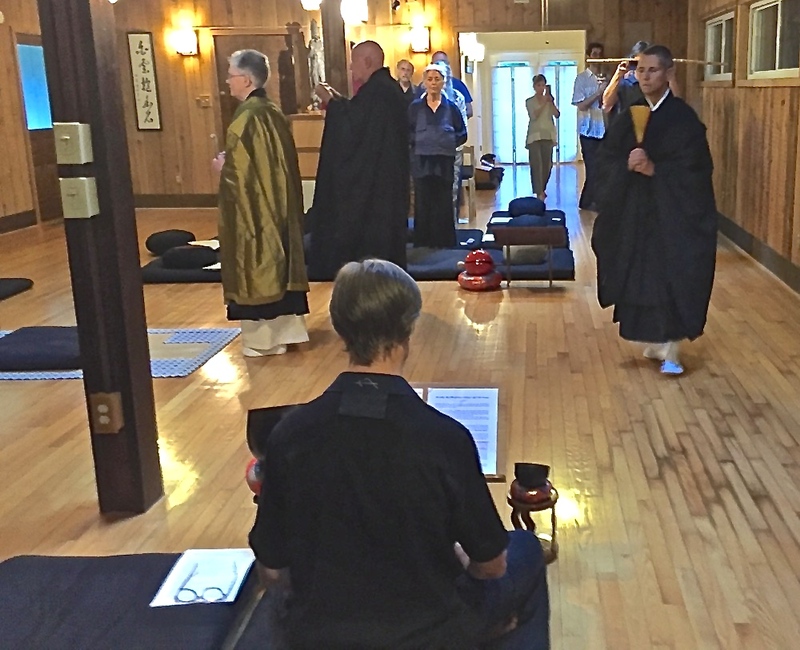 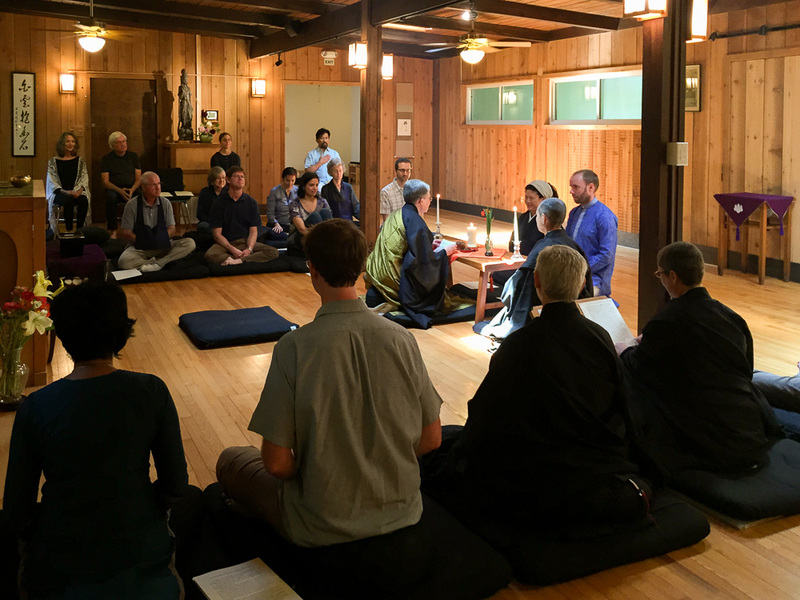 For the first time in about 20 years, we had to hold our spring commemoration of Buddha’s Birthday inside on Sunday, May 5…rain threatened and temperatures were in the 50s. 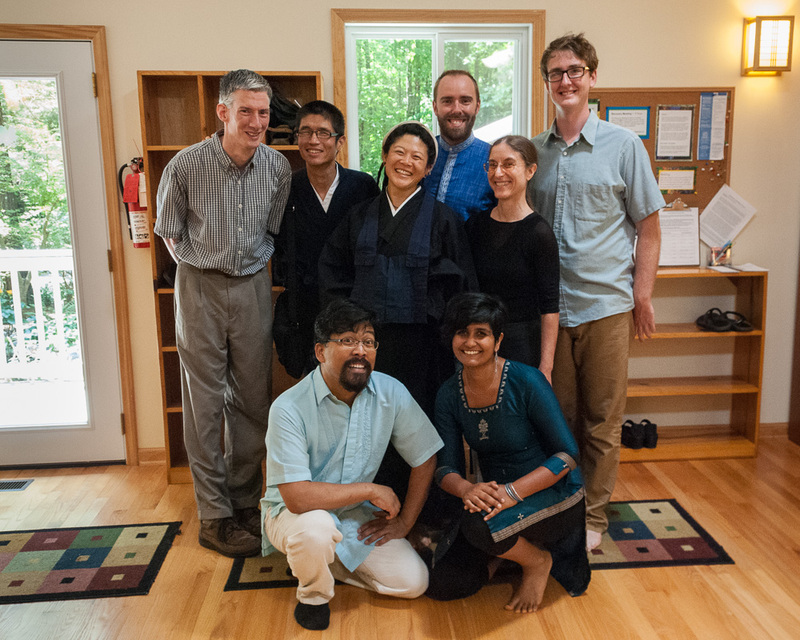 Nevertheless, we had our largest kid turnout perhaps ever – and the usual fantastic potluck to go with it afterward, with music provided by Kathleen and Tray Batson. 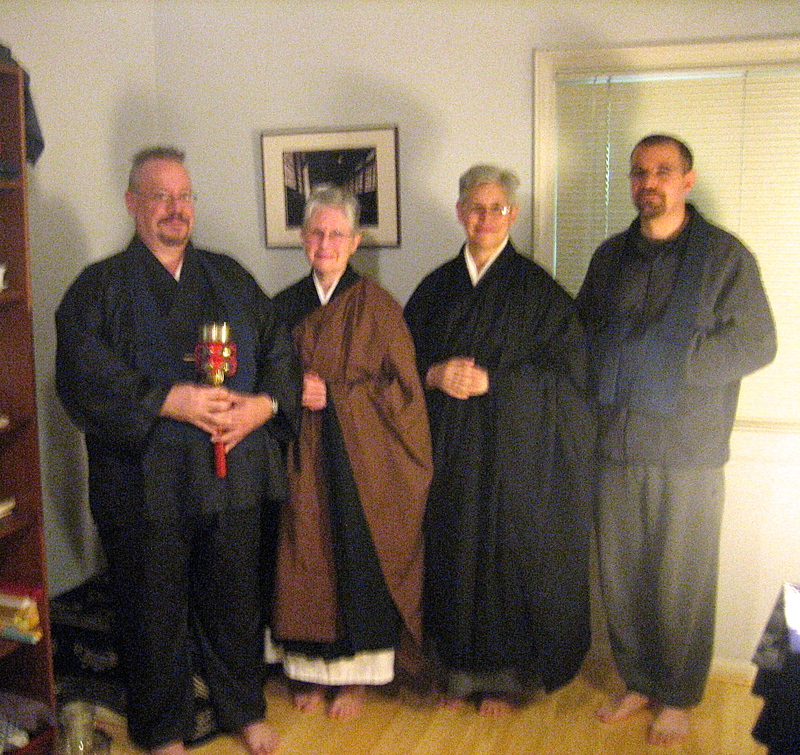 The kids did a great job of decorating…. 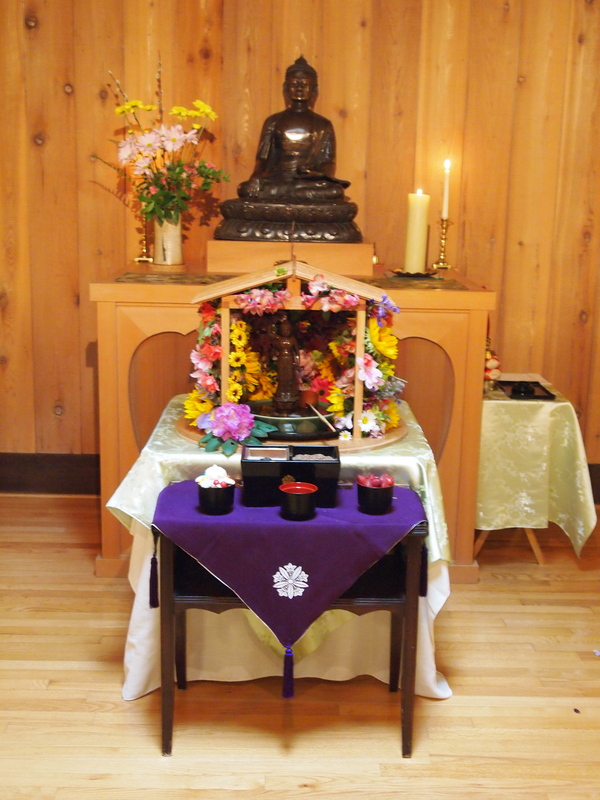 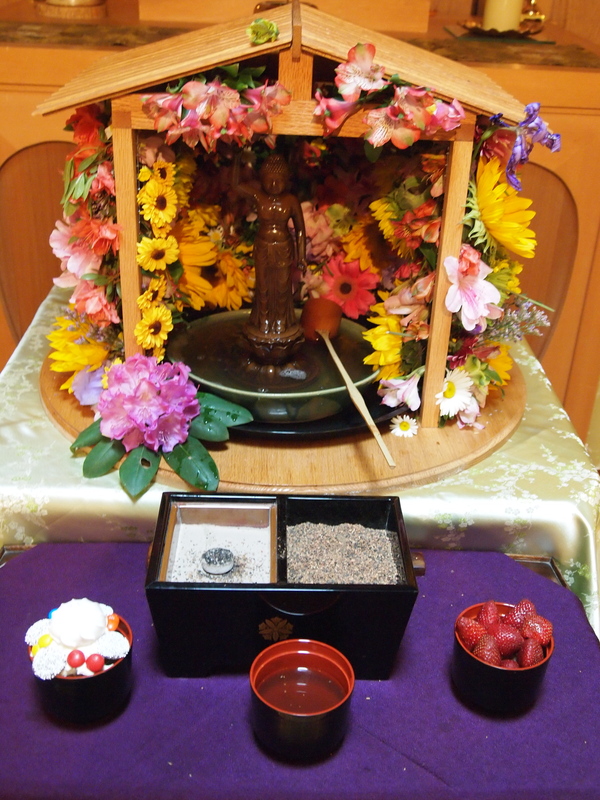 Josho gave a short talk, and then the kids regrouped for the procession (usually through the woods) into the zendo and offered incense to the baby buddha and poured a ladleful of sweet tea to bathe him. 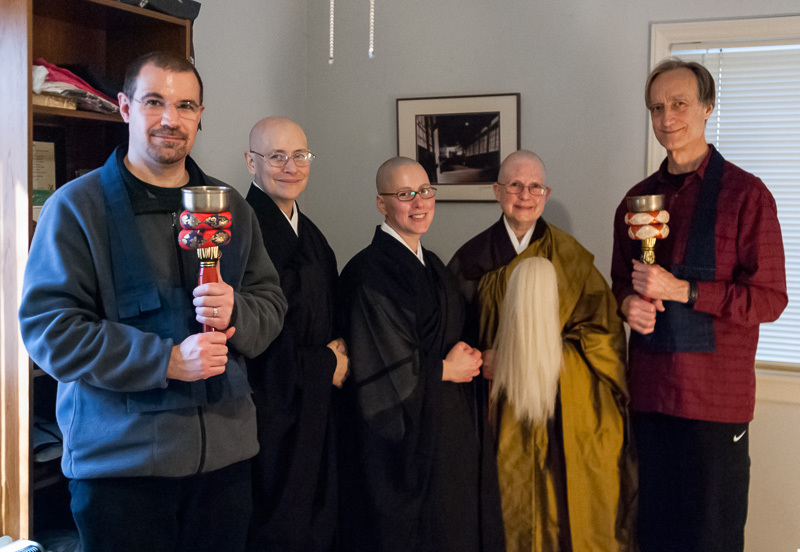 The adults followed afterwards. 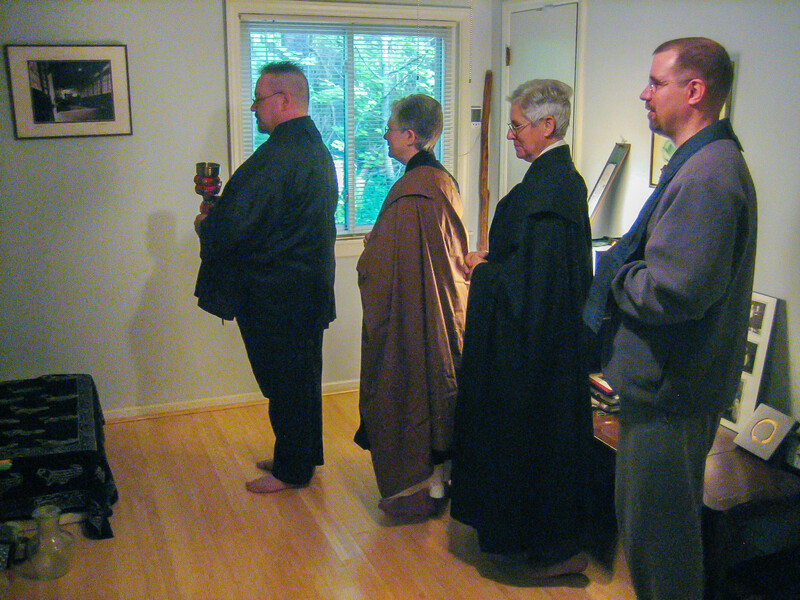 Buddha received offerings of a cupcake (with lots of add-ons), sweet tea, and strawberries, which we had also enjoyed during the ‘strawberry meditation’ with Josho before the ceremony. 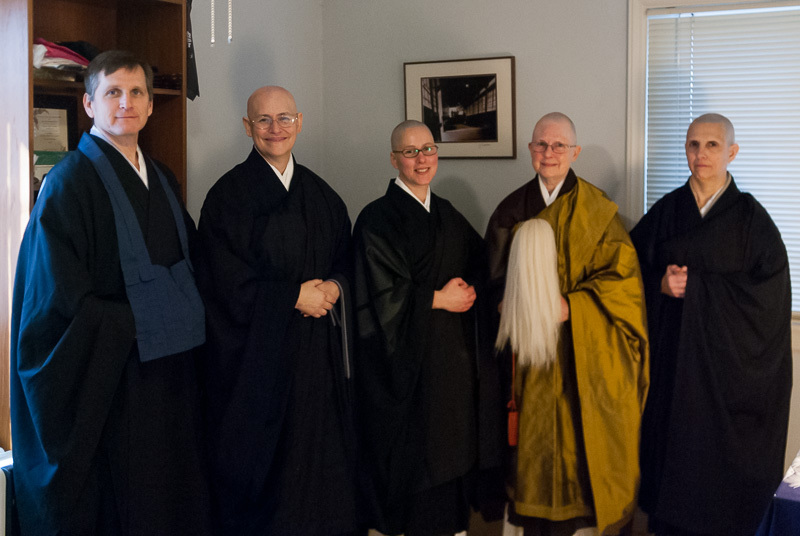 This event involves much organization and labor, so thanks to all! 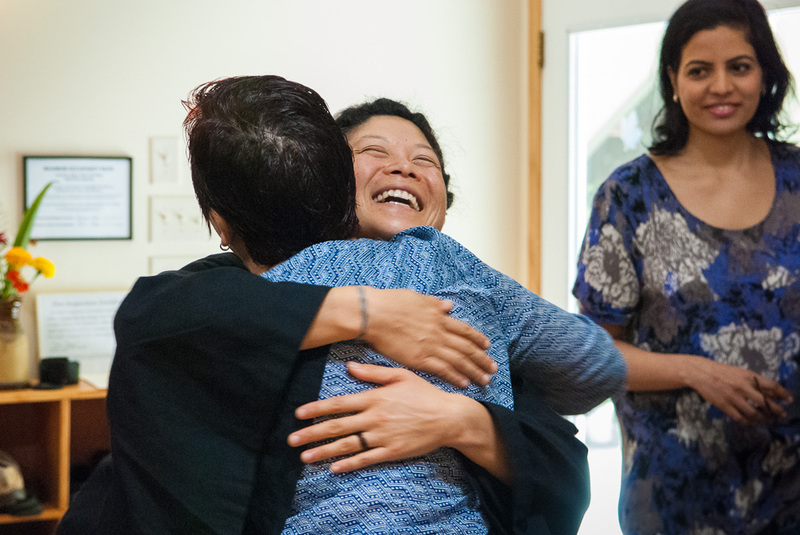 especially the parents, parent coordinators, and everyone involved in the ceremony. 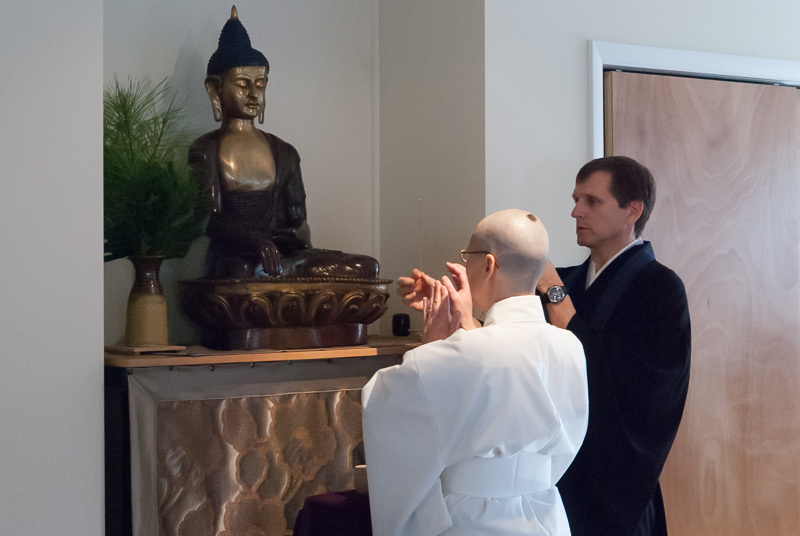 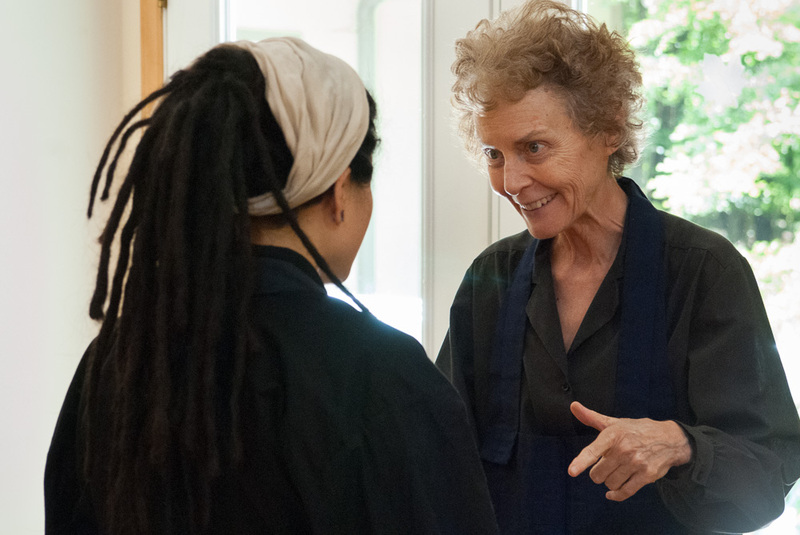 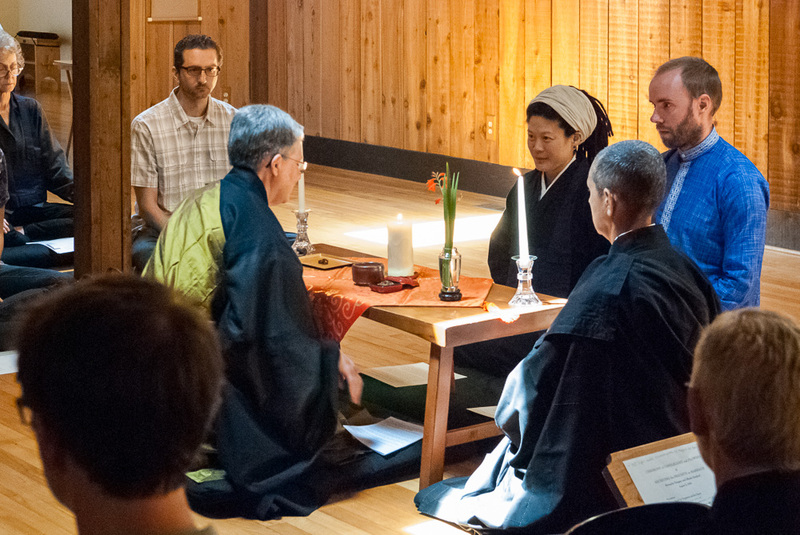 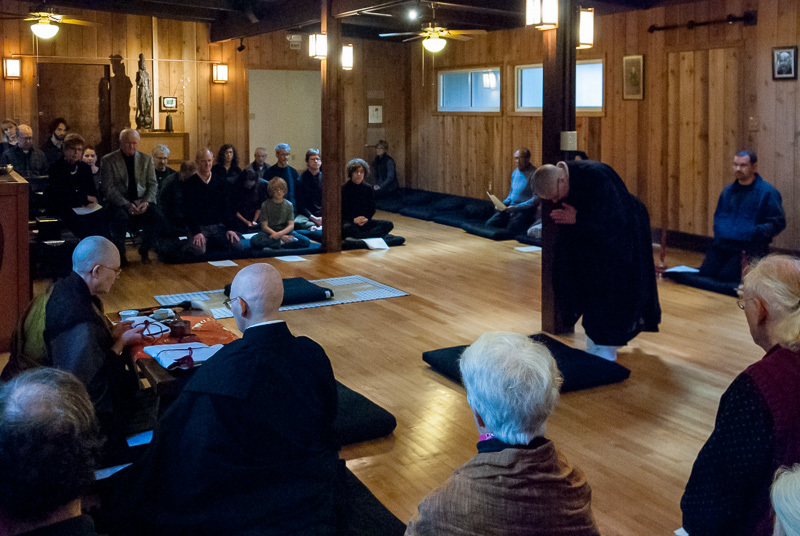 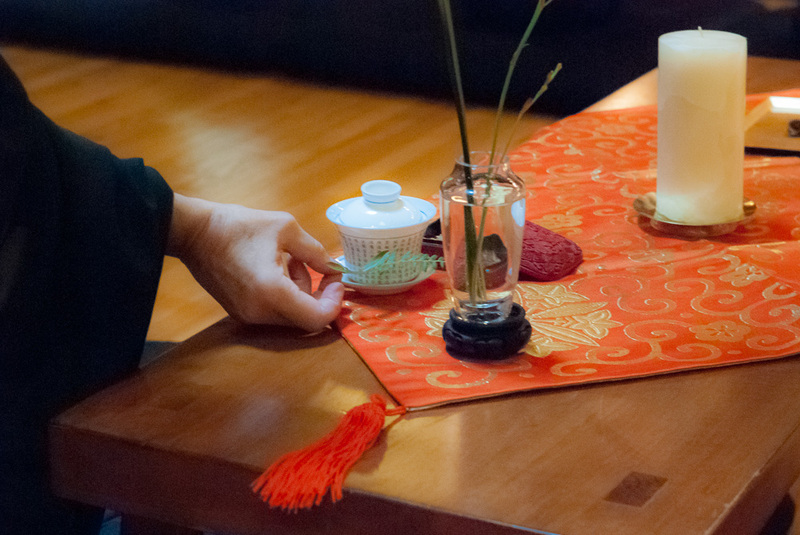 It’s the most sangha-centric day of the year – more photos to come.